The information below describes how Coastal Community Church manages your personal information (data) in accordance with the law and your rights. It does not cover every situation so please read notices on forms, web pages or other places where you give us information about yourself. 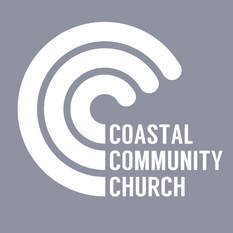 COASTAL COMMUNITY CHURCH is a charitable company. It is registered as a data controller with the ICO (the Information Commissioners Office). Further processing - If we wish to use your personal data for a new purpose, not covered by this Data Privacy Notice, then we will notify you, explaining this new use prior to commencing the processing and setting out the relevant purposes and processing conditions. Where and whenever necessary, we will seek your prior consent to the new processing. Your personal data will be treated as strictly confidential: Your name, email and telephone number(s) may be shared with other members of the church in order to carry out a service to other church members (for instance when you are on a church rota) or for purposes connected with the church. We will only share your data with third parties outside of Coastal Community Church with your consent unless we are under a legal obligation to disclose or share it. How long do we keep your personal data? We keep your personal data as long as necessary for the purpose/s it was collected for. This will vary depending on the type of information, legal requirements or other justifications permitted by Data Protection Law. We have an Information Retention Policy which sets out retention periods. analysing anonymised data to help us understand how people interact with our website so we can make it better.